Evolution Gaming Acquires Live Casino Ezugi - Getting bigger and bigger! 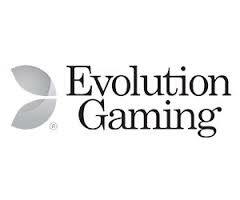 Done deal, Evolution Gaming (EG) now dominates the live dealer market. According to sources, EG just bought out one of its rival, Ezugi for $12 million! Which, is huge news being that both companies are the only licensed live casino supplier in New Jersey at the moment! So with that said, EG now fully controls the market. And this is only the beginning! So drop down below for all the details! First and foremost, EG is without a doubt sending a message that’s loud and clear. The truth is, as a company, they’re extremely competitive and successful. In fact, the company has seen a 41% increase in revenue from October 2017 until now. In other words, that’s $45.7 million increase of which, $16.8 million was profit. Not to mention, three months ago they vent live with their first US-based casino studio in Atlantic City, NJ. All and all, EG expects the purchase of Ezugi to drive its revenue up with 4% in 2019. According to EG’s CEO Martin Carlesund “We hail the acquisition of Ezugi as a very important and logical next step for Evolution Gaming.” So, this is a sure indicator that EG plans to increase its market share in existing markets. But also that the company plans to get new licenses as more states regulate online gambling. So without a doubt, it looks like EG is positioning itself to be a global leader. Which at this point, it’s pretty clear they’re on the right path. But, be on the lookout as this deal will bring much more excitement to the live casino industry of New Jersey!